Automatic gearbox restricted to two engine variants, no high-roof option. 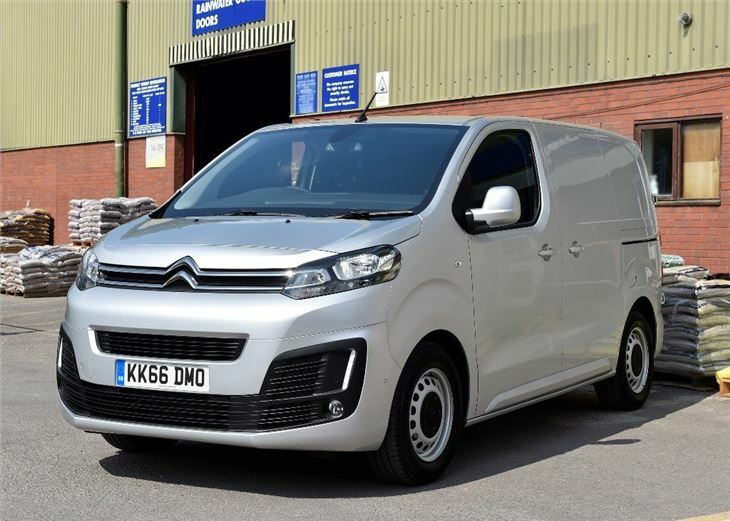 Developed as part of a joint venture between Citroen, Peugeot and Toyota, the new Dispatch provides significant improvements over the outgoing model, with higher carrying capacities, lower running costs and improved refinement. The Dispatch will carry a maximum payload of 1400kg and will easily move up to three Euro pallets in one go. 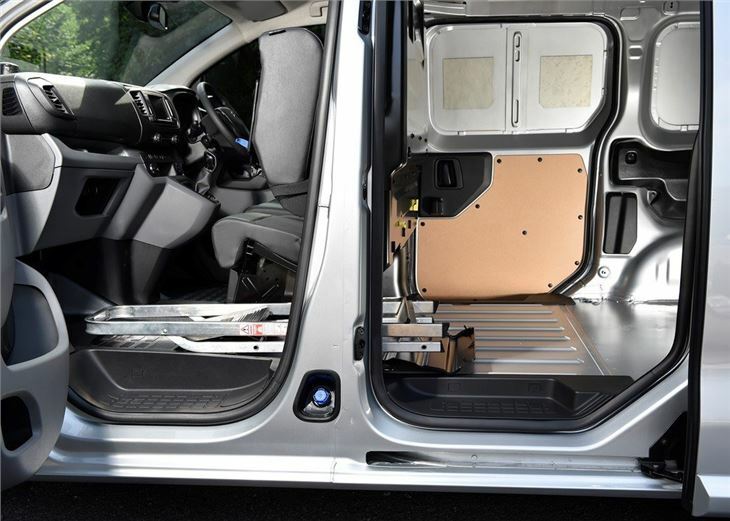 The new van is also capable of towing 2.5 tonnes when hooked up to a braked trailer, which is 500kg more than the old van. 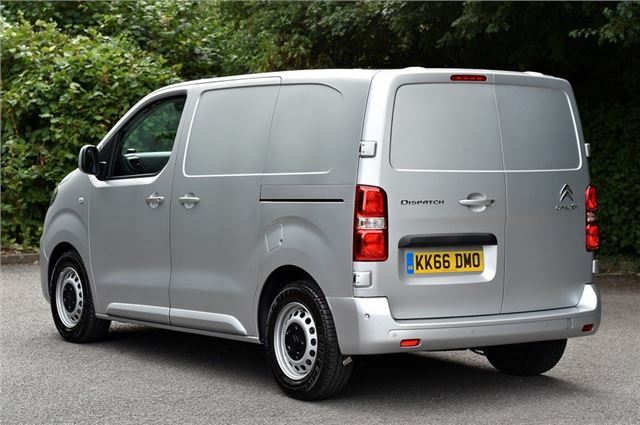 It’s available in van, crew van and chassis cab bodystyles. Engines range from 1.6-litre to 2.0-litre BlueHDi diesels, with power outputs ranging from 95PS to 180PS, with automatic transmission optional on the entry-level motor and mandatory on the highest power output. All will return more than 50mpg on paper, with Citroen claiming 55.4mpg for the best-performing 1.6 BlueHDi 115. This gives the Dispatch a significant on-paper running cost advantage over rivals from Volkswagen, Ford, Renault, Vauxhall and Mercedes-Benz. Three body lengths are available - M, XL and XS. In its smallest wheelbase, the Dispatch will carry lengths of 3.3m, but this increases to 4.0m in the XS versions. 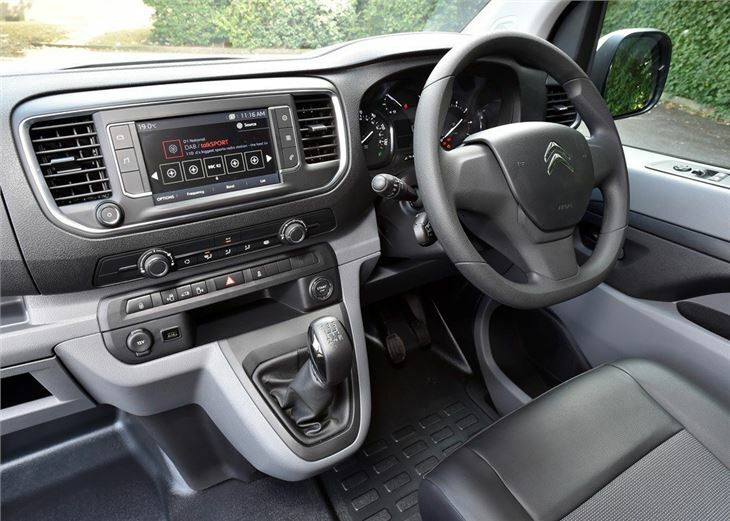 The interior has a clean look, with all models providing a central seven-inch touchscreen as standard. 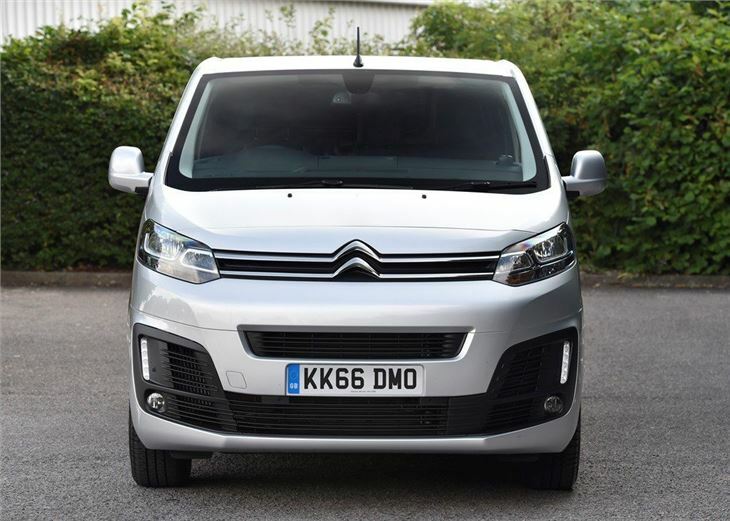 It also has a ‘mirror screen’ function, compatible with Mirror Link and Apple CarPlay technology, allowing certain smartphone apps to be accessed and controlled from the van’s dashboard screen. The Dispatch gets a number of new features over the old model, with hands-free sliding doors that can be accessed with a simple foot motion. 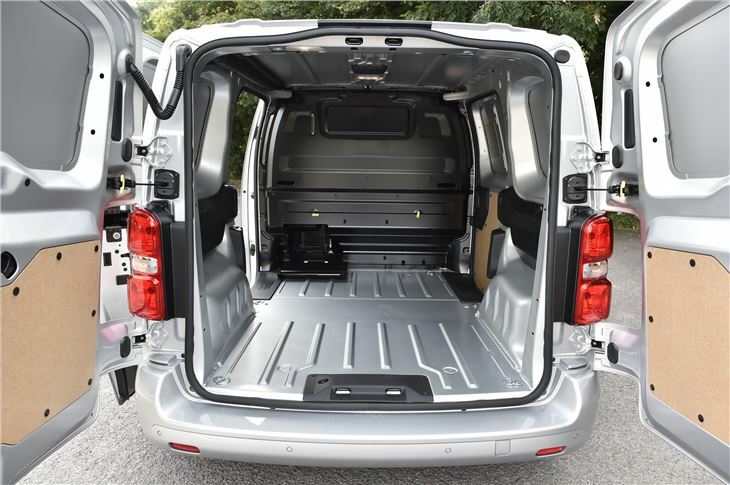 The loadspace bulkhead also gets a handy flap at the base, allowing you to utilise the vehicle's full length by sliding pipes, planks of wood or a ladder under the front passenger's seat. The cabin gets more car-like features, with an optional seven-inch TomTom touchscreen displaying navigation and traffic alerts. All Experts get two seats as standard, while higher spec models get the option of three. 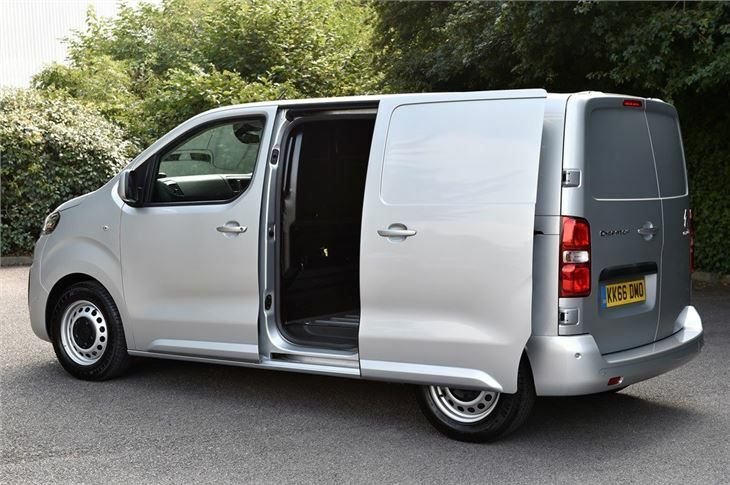 Crew cab versions to carry up to six. Cheap to run, comfortable and extremely practical, the Dispatch improves on its predecessor on every level. 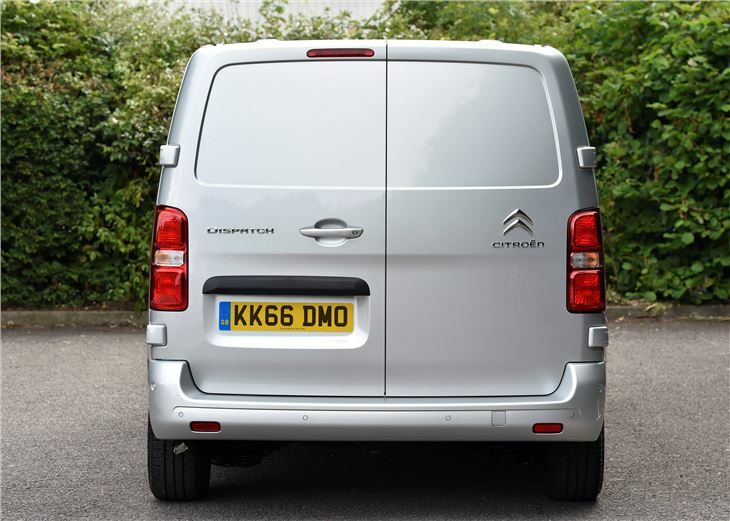 Admittedly, some might criticise the lack of high-roof option, but Citroen's medium-sized van remains one of the best in its segment for day-to-day usability and costs.